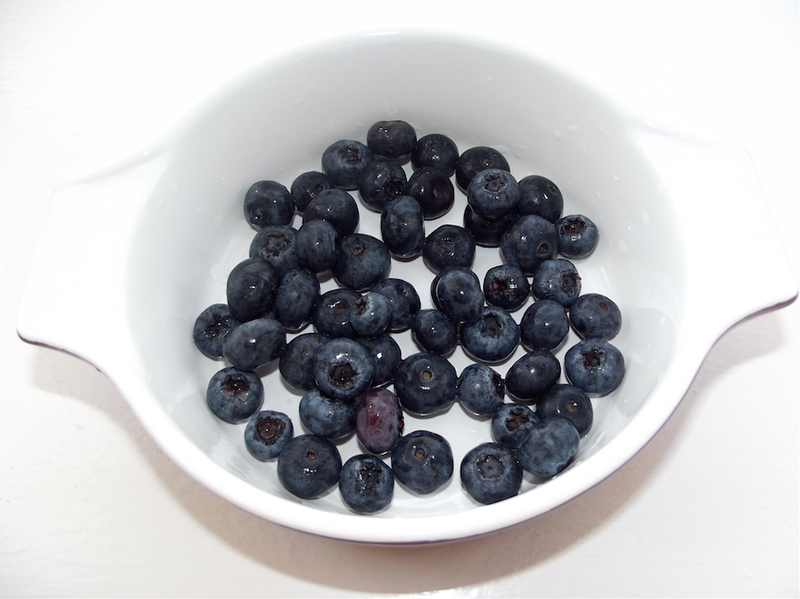 I enjoy eating blueberries because they are just a perfect and easy snack to pop into the mouth and as such, they are always on top of the fruits in my fridge. Although I enjoy eating blueberries, not just any blueberry will fill in the list. I am very choosy on the kind of blueberries I buy from my local shop. I always look out for very fresh and thick purpled ones which convinces me that they are good enough, ripe and suitable for consumption. In mid summer, when they are very fresh and straight from the cultivars, I enjoy almost all of them because they are so good. 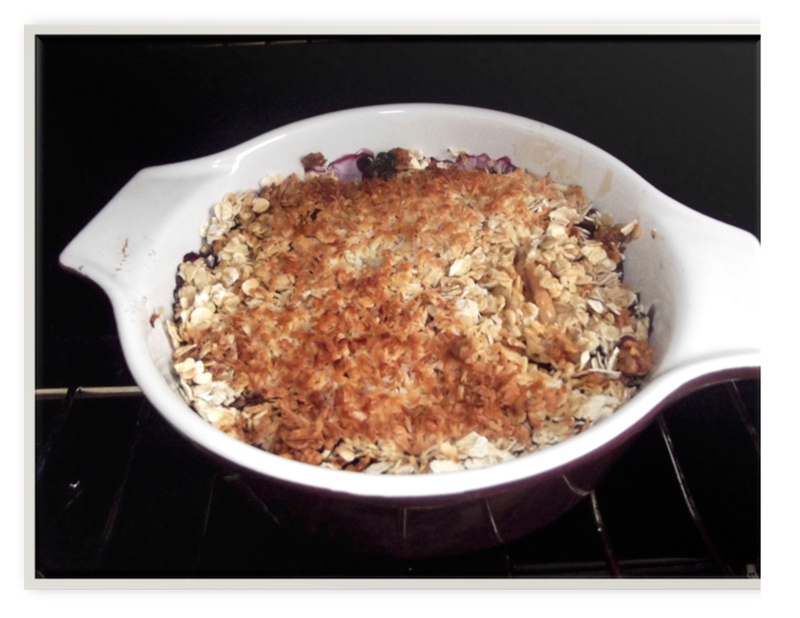 For this recipe, it is optional however, to use Dried Blueberries. Blueberries are rich source of vitamin B6, magnesium, potassium, iron and vitamin C which promotes collagen formation and a healthy immune system. Besides it also adds up the daily fiber requirement that maintains a healthy heart and cholesterol level. Another fruit that is also amongst the top of my list is pear. I enjoy both the greenish and yellowish ones and this time around for no reasons, I just decided to bake with blueberries and pears. Sounds funny.......isn't it? Yes, but life is all about experiments. Believe me friends, it has a very unique and appetising taste. So grab some blueberries and pears, then head towards the kitchen to experiment this recipe yourself. 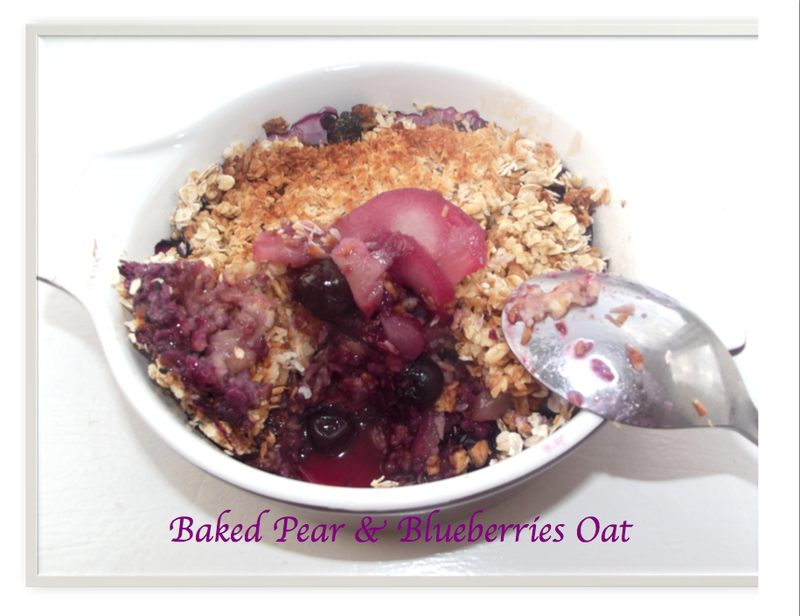 The Baked Pear & Blueberries Oat recipe begins with carefully gathering all the required ingredients together....... oats + pears +raisins+ blueberries + coconut flakes + honey + cinnamon and brown sugar. Then you just have to peel the pear with a very sharp peeler, cut them into tiny bits and then throw them in a clean bowl together with other listed ingredients except blueberries and grated coconut. 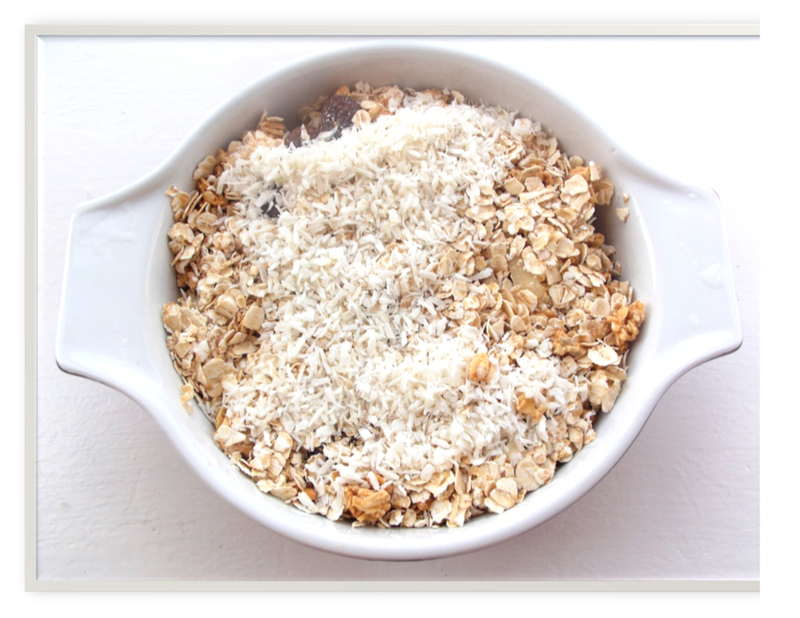 After mixing, add the blueberries in a baking dish, followed by the addition of the mixture and then the coconut flakes. Then pop in the oven and bake until the top appears golden brown. After baking, it normally comes out colourfully juicy, soft and studded with tiny pieces of pears and blueberries with tantalising cinnamon aroma. You can give this recipe a shot and you will not regret it. Add the cut pear in a clean bowl with brown sugar, raisins, cinnamon, oats, water and honey then mix properly. Add the blueberries in a baking dish and pour the mixture into it. 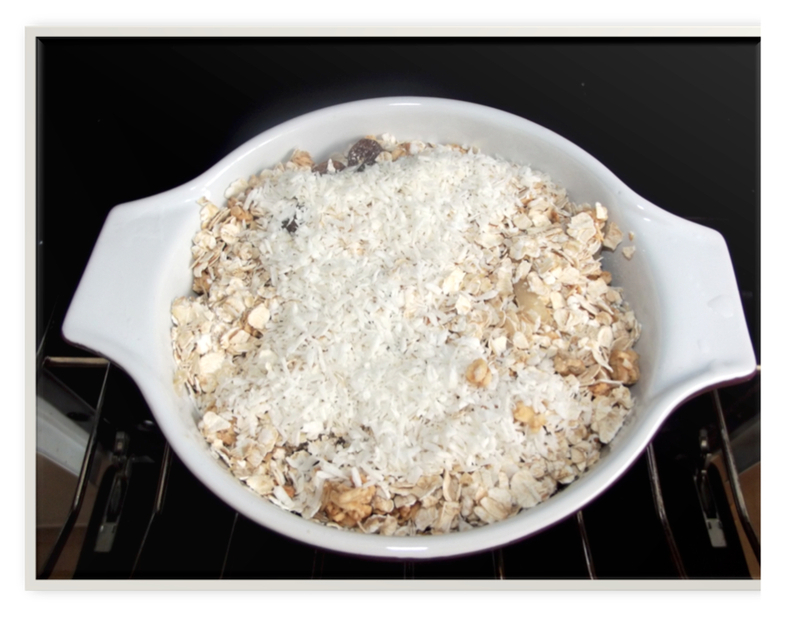 Sprinkle the coconut flakes above it and place in a preheated oven of 150oC. Bake for at least 20 mins until the top appears golden brown.